My older boys are currently on school holidays. It's fair to say they haven't received as much attention from me as they usually do. Luckily they can both entertain themselves. They also live in a prepared environment, we don't always get it right, but we strive to provide a home environment that meets their developmental and individual needs. I recently introduced the boys to K'nex. Have you used them before? They are like little building blocks for slightly older children, aimed at children seven to twelve years old. 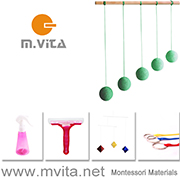 But instead of blocks, the child uses connectors and rods. It's a lot more complex than Lego, but I believe if a child likes Lego they will love K'nex. The best part about the K'nex is that there isn't just one or two things to build. Our K'nex set has 705 pieces that can make over 70 models. Our K'nex set as pictured here is c/o Parent Direct. It's crazy how many things the kids can build. Otis (6 yrs) like to build from his own imagination, he makes weapons, cars, jets, and people. Caspar (9 yrs) likes to use the online site to make models following the instructions, above is a person and an awesome helicopter. Using the connectors and rods really makes the children think differently about their structures. It also means there are lots of moving parts. The blade on the helicopter goes around for example. 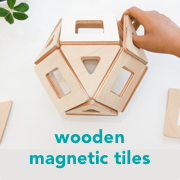 This is a fantastic science and engineering toy. K'nex are easily stored in a basket or container on the children's shelves. They are light so would be easy to take travelling. I also think they would be suitable for the classroom environment, think engineering or design projects. Thank you to Parent Direct for our K'nex. I know Caspar and Otis will continue to enjoy and be challenged by them. If you are in the US you can find the same K'nex set here.